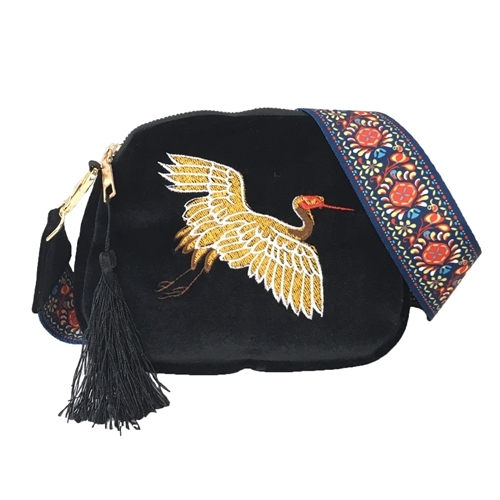 Travel with the embroidered crane - a bird thought to be a symbol of freedom. Front features an emboridered crane in flight. Tassel accent. Zip top closure. Lined. 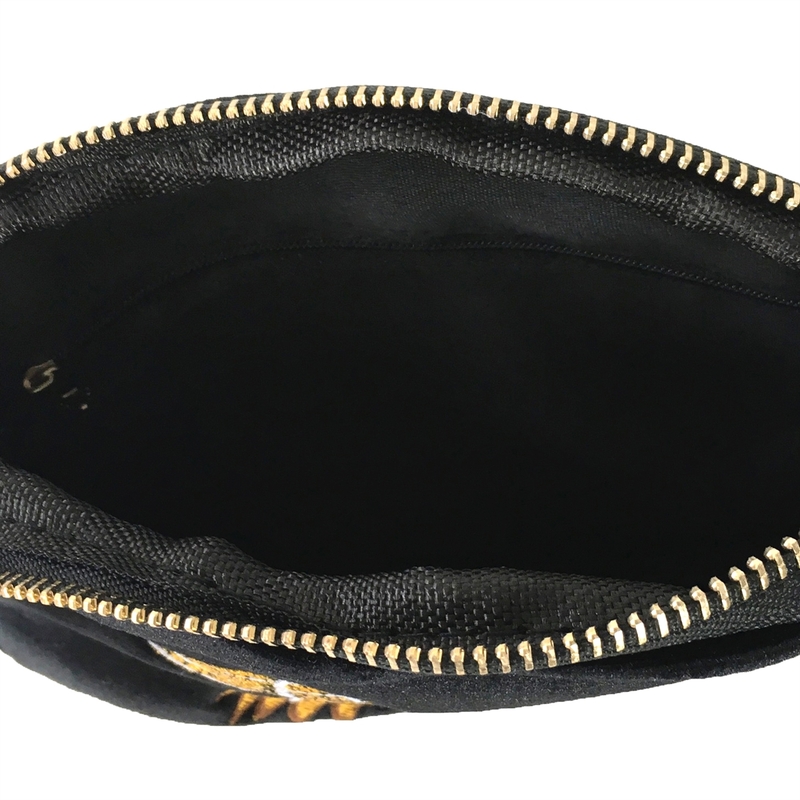 Interior zip pocket. 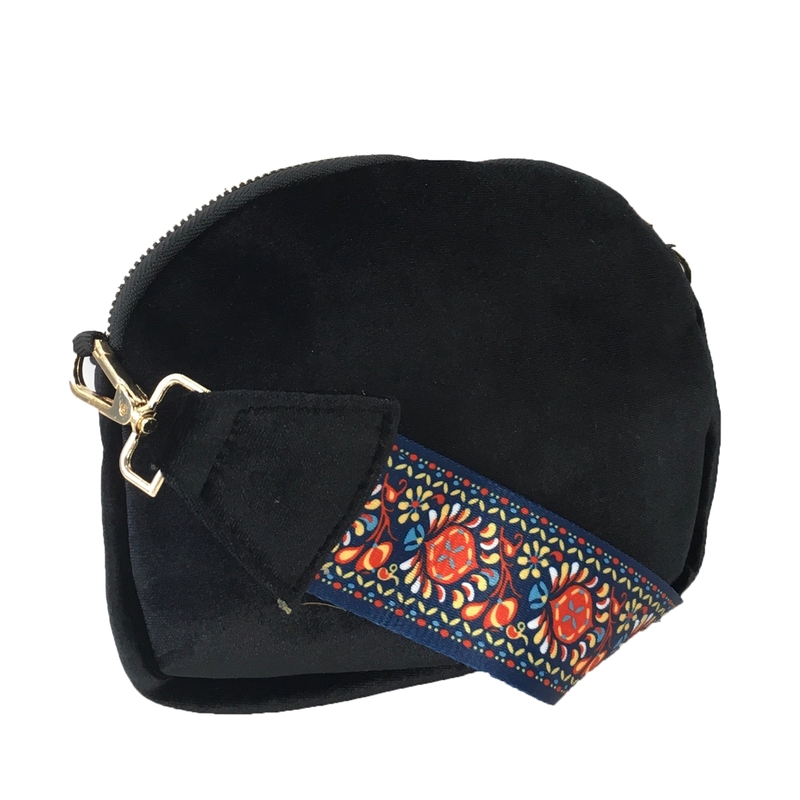 Awesome little velvet bag, great quality for the price, plus free shipping, how can you go wrong?